Introducing the Alpha 2.0. Engineered to almost impossible tolerances, we condensed the three-stage system of the Alpha One into a package less than 8" tall. The Alpha 2.0 provides maximum filtration while preserving flavor just like its big brother, so your experience is never compromised. 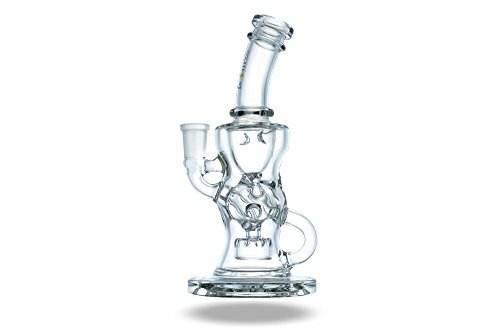 Like all Beta Glass Labs models, the Alpha 2.0 is crafted by hand using Schott Borosilicate tubing. After passing a strict quality control check, each Alpha 2.0 is adorned with a genuine 23 karat gold label and hand serialized in titanium. Additionally, every Alpha 2.0 comes packaged with an official serial-matching Certificate of Authenticity. Available in Clear & Accents. Blue Cheese accents model shown for size reference, this listing is for the clear version.